Stephen Rodriguez traveled to India May Session 2013 to take part in the Public Health Perspectives - India study abroad program. 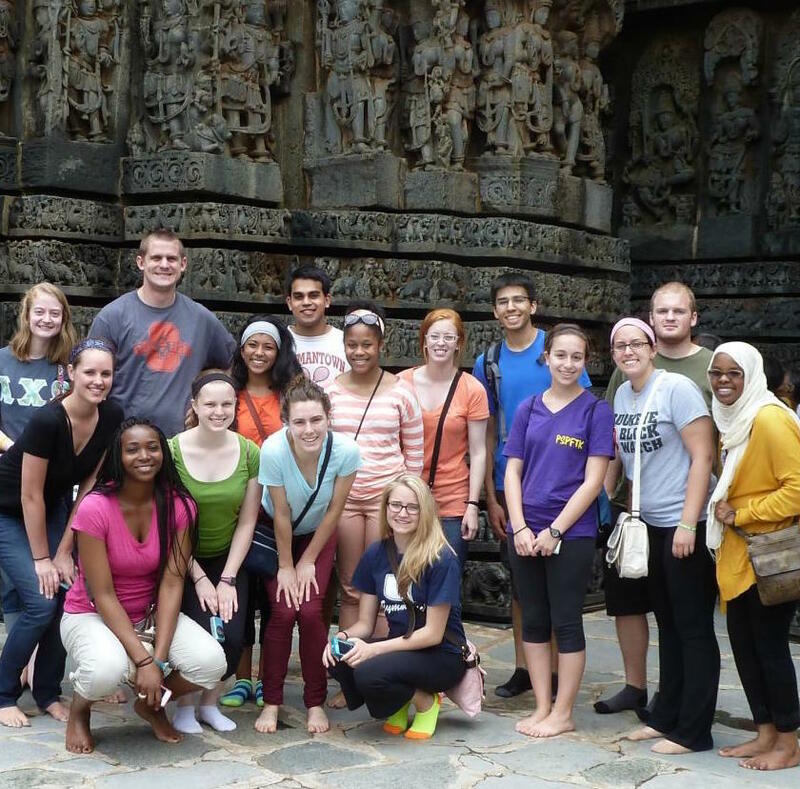 During the Public Health Perspectives – India study abroad program, I had the unique and life-changing experience of spending four weeks studying public health while living on the outstanding campus of Manipal University. Before this program began, I had a very limited idea of what to expect in India. I knew there would be differences in customs, living conditions, climate, and cuisine, but only through direct experience could I have gained an adequate appreciation of how life in India contrasts with life in the U.S. During the first bus ride between the airport and Manipal University, I observed and experienced many things that were unfamiliar to me. We drove past shanty towns, free-roaming cows, trash fires, and construction sites where workers wore little or no safety equipment. All of these new sights were things we would later discuss in our Field Experiences in Global Public Health: India class co-taught by Dr. Nagaraja of Ohio State and Dr. Bhat of Tezpur Central University, India. As an English major at OSU, I initially had little real knowledge about global and public health. Through many informative lectures at Manipal University, I acquired a greater understanding of the impact that communicable diseases, non-communicable diseases, and injuries have on public health. Our frequent field visits to community health centers and other local areas provided a first-hand, direct look into the workings of India’s health care system. The field visit that had the greatest impact on my understanding of global and public health was our visit to the Hirebettu tribal village where Dr. Bharat Shetty measured the iron levels of several women in the village to test for anemia. This visit made the fieldwork aspect of health services much more tangible for me. Previously, when we’d learned about vaccination efforts and programs that travel to rural or village areas, I perceived things mainly in terms of percentages. However, the visit to Hirebettu gave me a better grasp on the temporal and interpersonal factors that are important to fieldwork. Overall, some of the most memorable aspects of the Public Health Perspectives – India program were the generous hospitality of the Manipal University staff, the remarkable beauty of the religious sites we visited, and the close friendships I made with other students while experiencing life in the incredibly diverse region of India through which we traveled. One scene that remains particularly vivid in my memory is that of macaque monkeys climbing and playing on the gopuram of the Chamundeshwari Temple as worshippers came and went. For me, this scene represented the existence in India of a common intersection between animals, humans, and the divine that I had never encountered in the U.S. The countless things I learned about Indian culture, and resultantly about my own culture, gave me a greater appreciation of how societies function, the importance of health care in society, and the increasing influence of globalization on health and culture throughout the world.